Gosney introduces readers to the world of ARG in the first chapter by quoting sources such as the Wikipedia entry for ARG and Cloudmakers, making connections between the games and Immersive Marketing. He even goes as far as drawing parallels between beat authors (such as Jack Kerouac and William Burroughs) and ARG. The next chapter moves away from the overview of ARG and into the game play aspects. 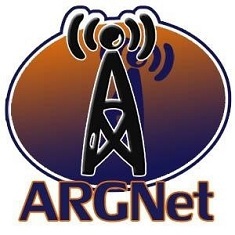 Trailheads and ARG resources are discussed, focusing mainly on The Art of the Heist and ARGN. At the end of the second chapter, Gosney has done well to explain how one might approach Alternate Reality Gaming, and has provided excellent ideas for a reader to get more information. In chapters three and four, Gosney chooses to go through an abridged summary of The Beast, starting at the very beginning with the discovery of Jeanine Salla. Either Gosney had actively played the game in 2001, or he has done his homework, because the analysis is accurate and he gives detailed references (many website screen captures give the reader a better sense of what Gosney is talking about, encouraging readers to read through the Cloudmakers Guide to The Beast. A few puzzles are dissected throughout the two chapters, including Chemisty Elements. After the trip down memory lane, the book takes a turn towards the present and Route 66, the ‘sample ARG’ that Gosney uses to further explain how Alternate Reality Gaming works. While the game plays more like a trail, due to the limitations of an ARG played out in print only, it does a good job at exploring the steps taken while playing an ARG style game. It presents the game in three chapters, all the while asking ‘what do we know now?’. Through Internet searches and various communication methods, the mystery unravels and unwinds all the way to an endgame scenario. Note: email and fax interactions are discussed in the text, presented as how the players would be receiving them if the game were to be played out in real time. The eighth chapter functions as a post-game analysis of the Route 66 ARG, paying particular attention to the elements of ARG used in the exercise, as well as asking how the print version of the game could be adapted to make it more of a complete ARG experience. I thought that this was an excellent way for readers to journey through an Alternate Reality Game in a short time. Chapters nine and ten (approximately one-third of the book) give detailed instruction in Web Design. Labelled as “Web Design for Puppetmasters”, the section gives information about how CSS stylesheets, tables and frames can be implemented in HTML coding. While these chapters weren’t of personal interest to me, I can understand their purpose in a textbook geared towards Game Design. There are a number of handy tips for the hands-on Puppetmaster who wants to create a nice website for their ARG without having to rely on general templates or Web Design software. However, there is no information within the two chapters that pertains directly to ARG — perhaps Gosney would have been better served to dissect specific examples of websites from ARG history (such as the Mowz pop-up at Bangalore World University) to give technical explanations for what the player had experienced. The focus on ARG does return near the end, as the appendix section includes outlines of many ARG resources, including websites and articles. This book will not go down in history as the definitive guide for Alternate Reality Gaming, but it does a very good job of making ARG more accessible for the new player. Gosney, who has previously written books on blogging and VHS conversion, does well to explain ARG to a wider audience, specifically game designers. It will be an excellent resource to students learning about game design, and hopefully will spawn a new generation of ARG Puppetmasters in the future.